May buy 1 for yourself and 3 as gifts. Limit 1 per person per visit. New customers only. Must use entire value in one visit. Appointments required. Mention voucher number when you book your appointment. 48 hour cancellation notice required or voucher subject to forfeiture. Valid at Midvale location only. Expires 4 months after purchase. See the terms that apply to all deals. You will also receive 20% off any additional services or packages purchased on your first visit. 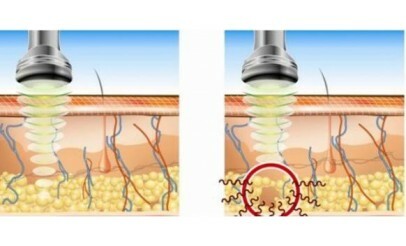 What's more, you can upgrade at the spa to Avalon Spa's Signature Ultrasonic and RF Fat Removal treatment for an additional $99 and receive a $200 credit towards your package purchase. Avalon Med Spa is a Non Surgical Liposuction spa located Midvale. During each procedure, the experienced staff uses Low Frequency Ultrasound and Radio Frequency to shape and contour the body; eliminating fat, and tightening and smoothing skin. This process is safe, efficient and affordable. Fat and dimples can't hide from Avalon Med Spa!